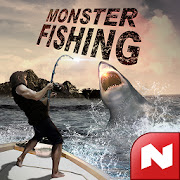 Try to catch [Real Monster fish] You will receive fishing gears for free~ This is the chance to go around the vacation destinations around the world! Go fishing with simple, one-touch controls. If you are already a fisherman, you will be the top of the league! New to fishing? Don't worry! We will prep you up for a success~^^ Ultimate fishing game!